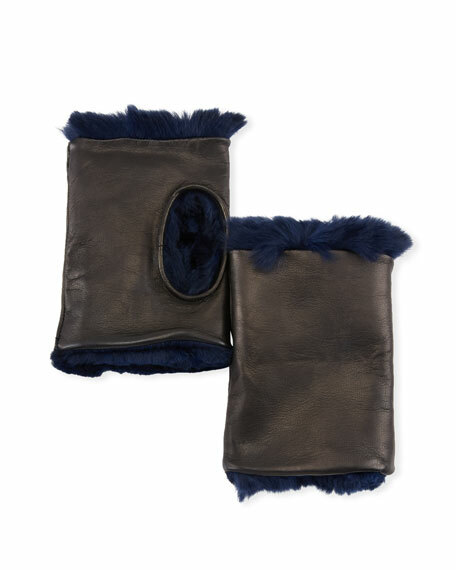 Loro Piana "Jacqueline" plongé goatskin fingerless gloves. Dyed mink (Denmark) trim at top hem. For in-store inquiries, use sku #2160978. 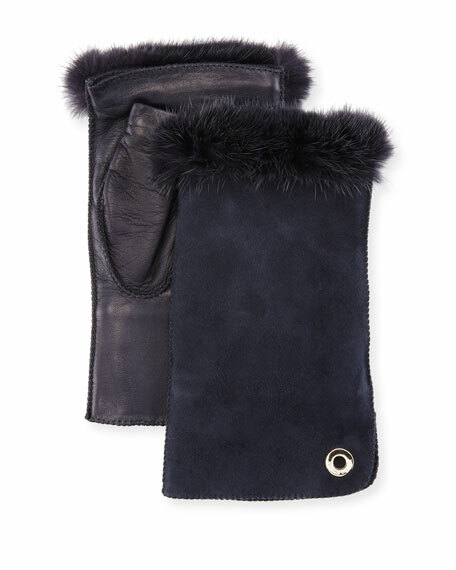 Guanti Giglio Fiorentino fingerless glove in lambskin leather. Dyed rabbit fur (France) lining. Open top; thumbholes. Made in Italy. Exclusively ours. Gushlow and Cole fingerless mittens. Dyed sheepskin fur (Portugal). Approx. 7"L x 4.3"W. Made in United Kingdom. Exclusively ours. 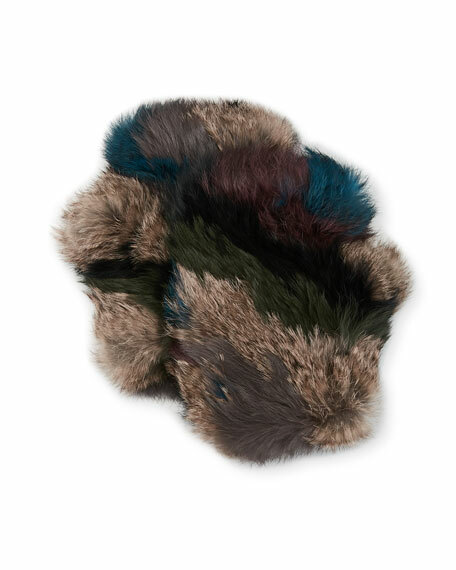 Jocelyn fingerless gloves in dyed rabbit (China) fur. Open top, thumbhole. Backing, acrylic. Professional fur clean. Imported.